EghtesadOnline: Iran's ambassador to Britain says an outstanding debt owed by the UK to Tehran will be transferred to the Central Bank of Iran soon, in what will mark an end to the decades-long legal dispute between the two sides. The Iranian diplomat further expressed regret over certain media attempts to link the debt pay-off to the case of an imprisoned Iranian national, according to PressTV. The payment “with regard to a 1974 arms deal has nothing to do with the case of Nazanin Zaghari who has been arrested in Iran over security charges or to any other issue,” Baeedinejad told reporters on Thursday. Iran’s intelligence authorities arrested Zaghari at the Imam Khomeini International Airport in April 2016 on spying charges as she was on her way home to London after visiting her parents in Tehran. 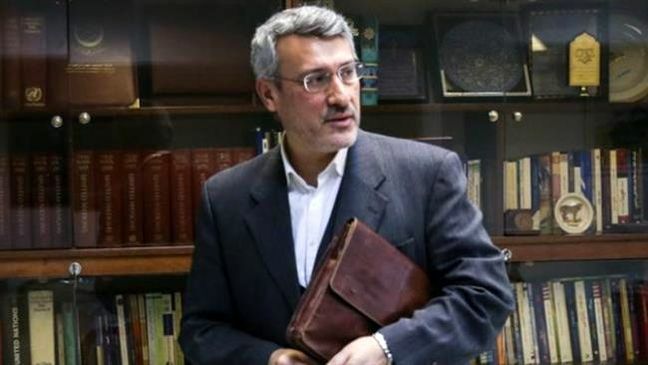 Zaghari was subsequently tried in an Iranian court and sentenced to five years in prison for spreading propaganda against the Islamic Republic. The Telegraph cited unidentified sources as saying this week that London was planning to transfer the outstanding debt to Iran to have Zaghari released. The British tabloid daily, The Sun, said Iran had demanded that Britain return the money which the former Shah of Iran paid in 1979 for 1,750 Chieftain tanks and other vehicles, almost none of which was eventually delivered. British Prime Minister Theresa May's spokesman also stressed Thursday that there was no link between the £400 million debt owed to Iran and the fate of Zaghari.